We spoiled ourselves on this trip and were able to take 2 weeks in November to go celebrate our friends birthday. We made it a girls trip with 4 of us, and we had the best time! The flight was long! 12-14 hours from Los Angeles to New Zealand. (I know there are longer flight, but this was the longest plane ride I had ever taken). 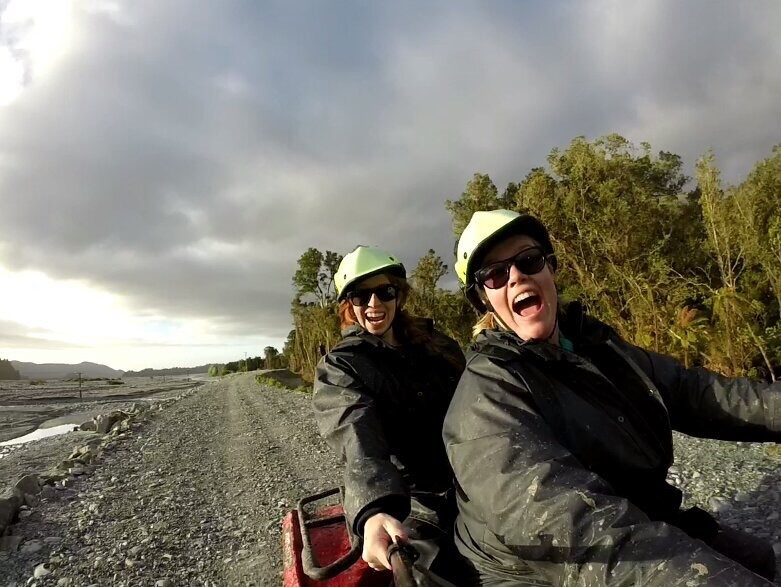 There is so much to do in New Zealand, that we didn’t even have enough time to do both islands. They have a North Island and a South Island…we did the South Island, because if you are flying all the way there, you CAN’T not go to Australia too, so we added in time for that. 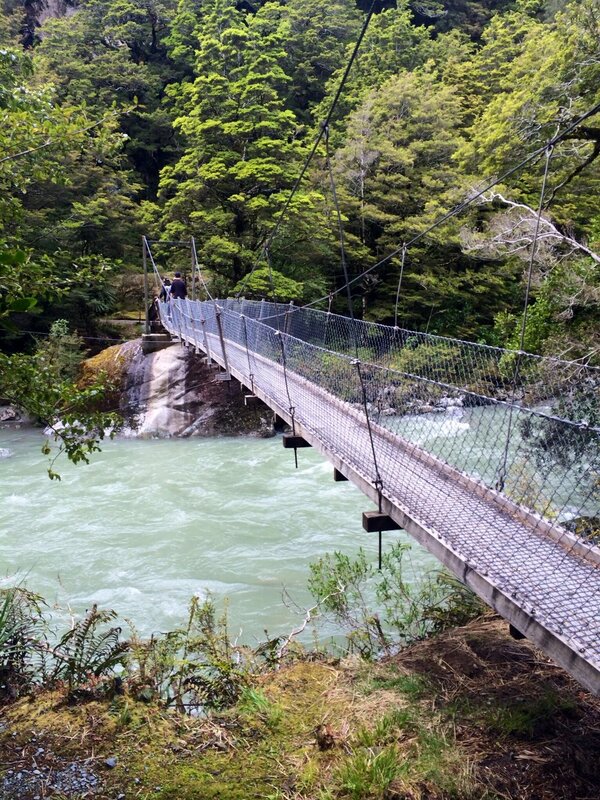 New Zealand is absolutely incredible with their breathtaking scenery and landscapes. 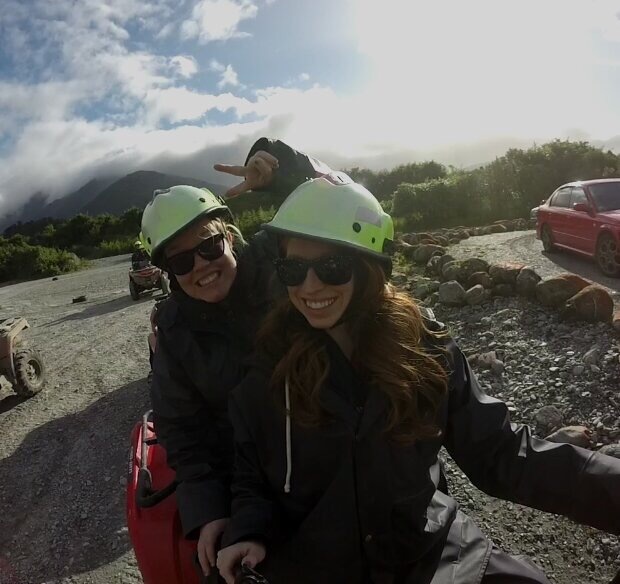 We rented a car, because we knew we wanted to hit it ALL…of the South Island at least. We went in November, which is during their spring months, and it was actually a bit on the colder side than we had expected, but we made the most of it. We stayed in Nelson on our first night after we landed. Found a beautiful place on airbnb, and ordered some "take-aways" (take out) for dinner. They had no idea what we were saying when we asked if they had "take-out". Ha! Have you ever heard of worms that glow?! I hadn’t, and what a sight it was to see. There are caves in the Paparoa National Park where you can walk through the caves, and see some amazing sights. Then you hop into the water on your “tube/raft” and float slowly inside the cave where it becomes pitch black, and all you see are a bunch of glowing worms above you. It was amazing, and looked like tons of stars in the sky! We had a Glacier Heli-hike booked (that is a hike on a glacier with a helicopter!) And unfortunately for us, the weather was too windy for us to go up, so that was a bust. whomp whomp! 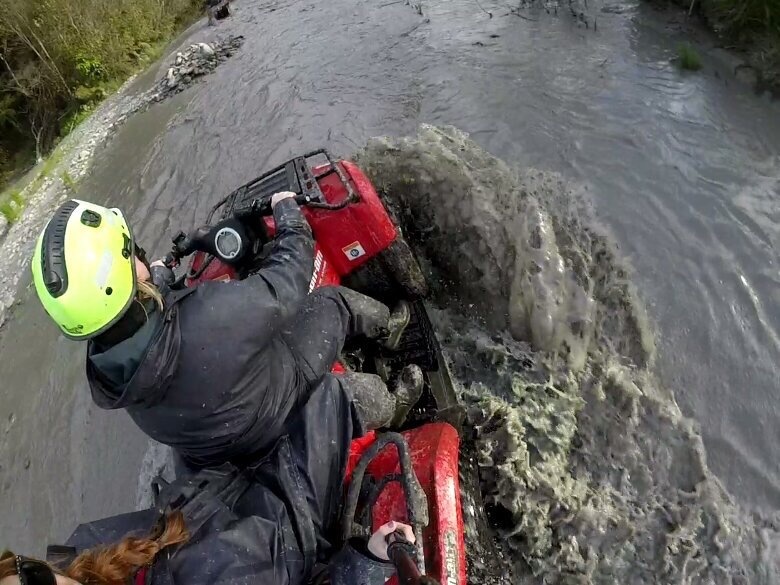 We were so bummed that we missed it, but we found another activity to make up for it in Franz Josef, and we went riding ATV’s. We had such a blast rolling through the trees, mini hills, and out on the flatlands. We were riding through tons of mud, and gettin’ dirty. So much fun! I want to live in Queenstown! This city is lively and full of adventurers! Yes, it’s a bit touristy, but they have all the greatest adventures. Bungee Jumping, Speed Boats, Submarines shaped as a shark that jumps out of the water, luge rides, ice bar, it’s all there! And we squeezed in all that we could in our short day and a half there. 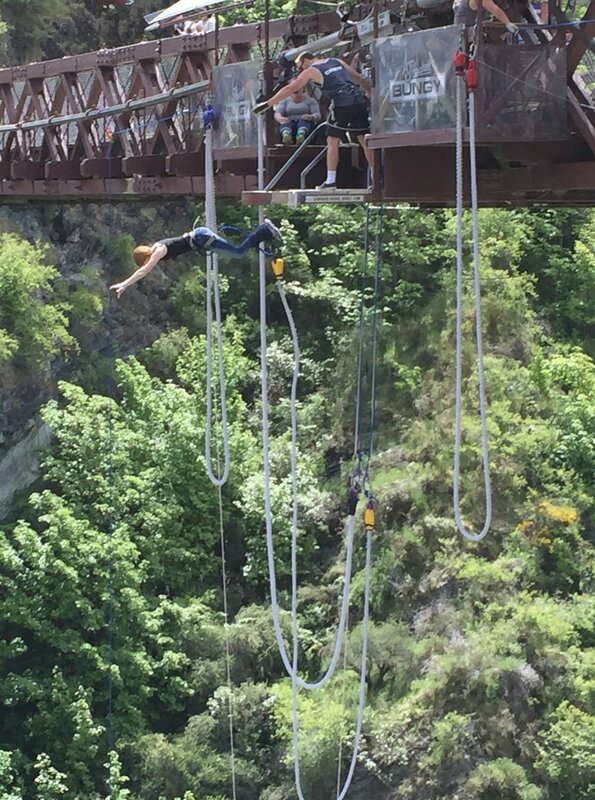 We did the luge at the top of the mountain, checked out the ice bar downtown, rode in the speed boat that does super tight and fast circles in the river, and…went bungy jumping!! Ok, let's be honest...I really didn't think these would be too much fun. They looked a little corny, and almost meant for kids. It was seriously so much fun. Those things can go super fast! You just have to be brave to let it...I had to keep slowing mine down. 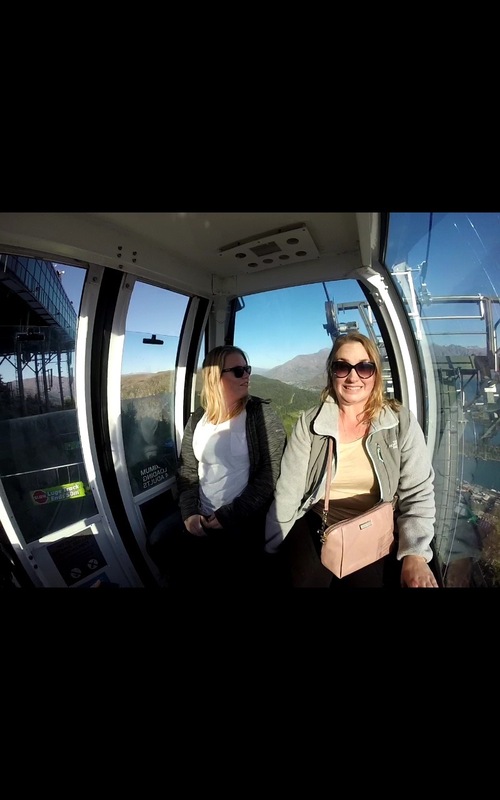 You take a gondola up there, and look at the view you get when going up! 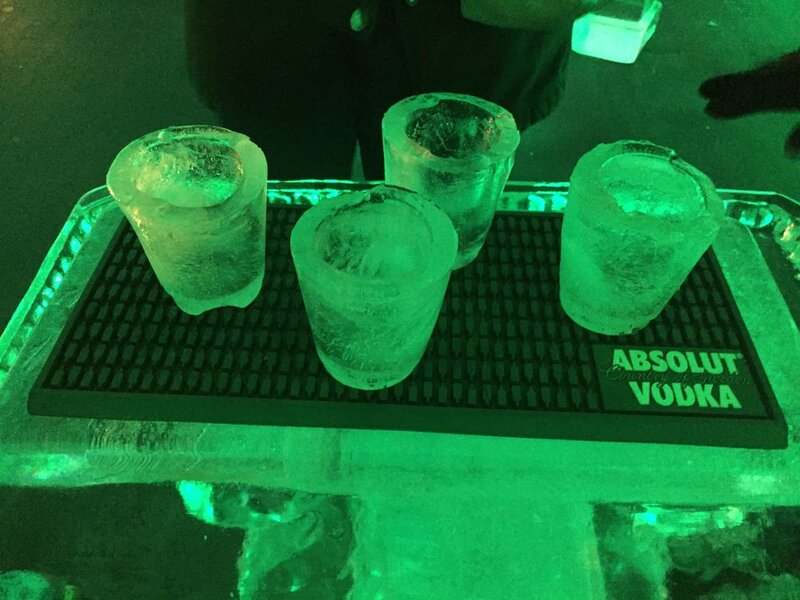 You walk into a bar that is made of, you guessed it...ICE! 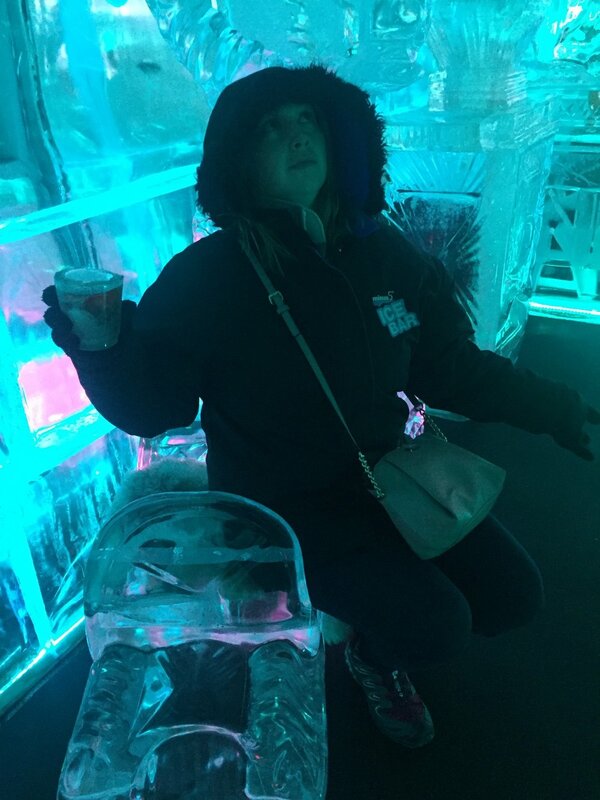 The cup you are drinking out of is ice, the walls are ice, the tables, decorations, even chairs are all ice! 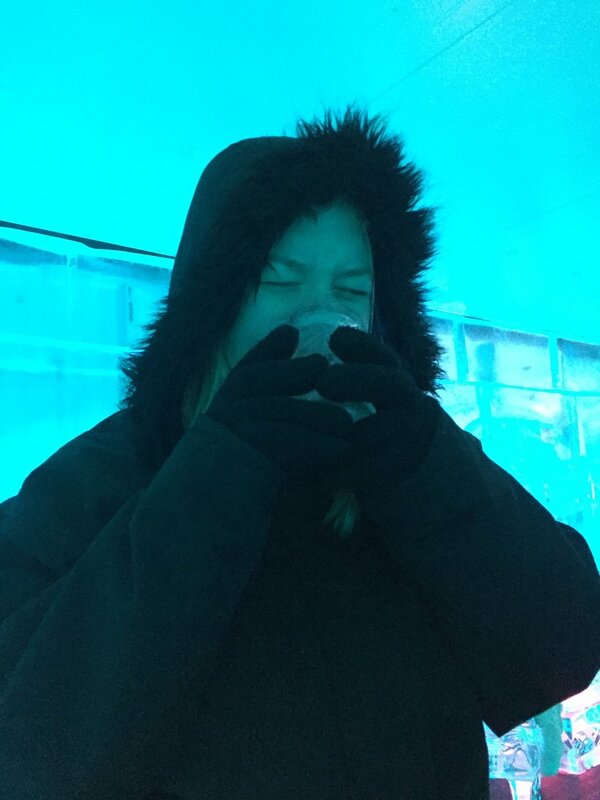 They give you this huge parka jacket with a hood (that I was not about to take off), and you enjoy a drink or two before calling it quits! I'm a Southern California girl, so about 3 seconds in, I was freezing. But definitely a fun experience. 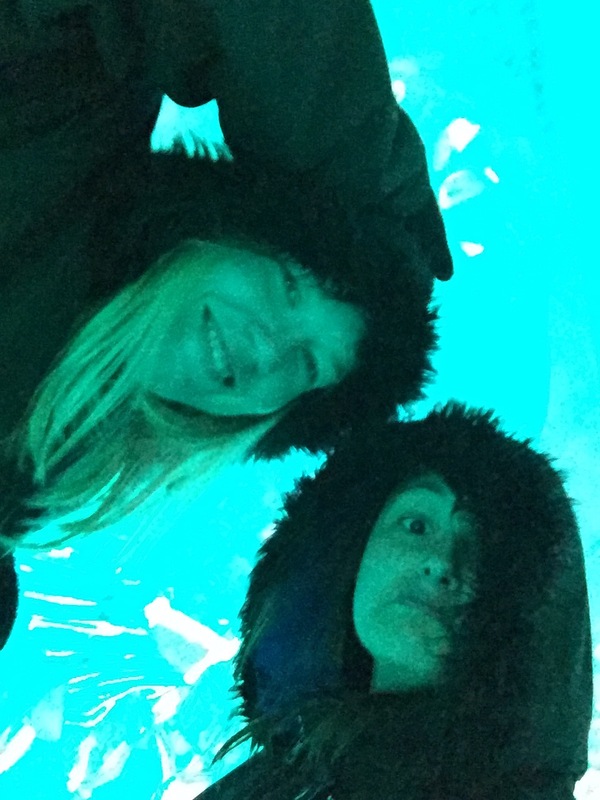 Check out our Things to Do in Iceland Post and learn all you should know! This Shotover Jet was a BLAST! I loved it way more than I was expecting. They gave us a huge raincoat type jacket with a hood, and a life vest, and that told us we would for sure be getting wet. And boy, did we! 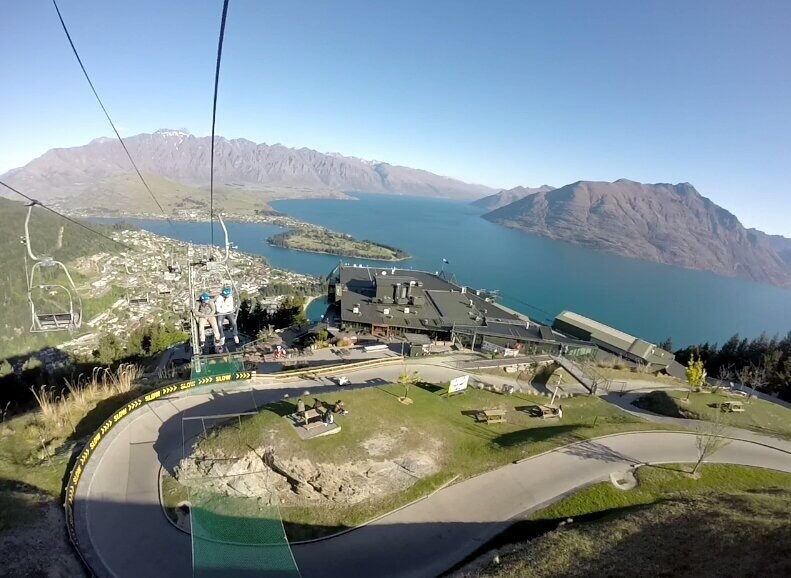 The Shotover Jet flies super fast in very tight spaces, and when you least expect it, your driver does a complete 360! Spinning wildly and yes, getting wet. It was so much fun! This is the most beautiful lake. It looks cartoonish with the blue water and the bright purple flowers. So relaxing and such gorgeous sites. We relaxed here for the most part…checking out the city, grabbing some food, and went to see the Church of the Good Shepherd. 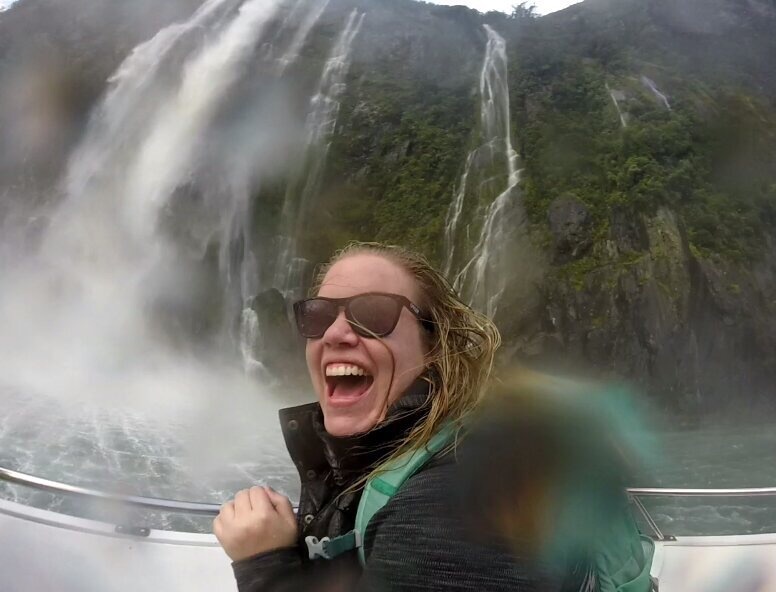 We had a kayak tour booked in Milford Sound, and were so excited about it. Sadly, the weather was not up for a kayak ride…pouring rain and super windy! We ended up on a huge tour cruise ship, which is something we were trying to avoid, but it ended up being fun. We saw puffins swimming, and hundreds of waterfalls, not even exaggerating! The captain drove the front of the ship right under one of the largest waterfalls, and where else would us girls be, but right in front of the ship. We got soaked and had a wonderful waterfall shower. Freezing cold, but what an experience! Milford Sound was so very beautiful, and since we were on the ship, we were able to see more than we would have kayaking, so we’re going to count that as one of the positives. And since the weather wasn’t cooperating with us, and rained all day and night instead, it created these hundreds of waterfalls, that we just could not get enough of. Since we weren't able to do the kayak tour, we were done much earlier than planned, so they took us out to do some exploring on the way back. We stumbled upon this little town, and were so happy we did. It’s a beach town with lots of water activities, biking, shopping and lots of great food. We did a little paddle boating around the bay, shopped, and had a nice lunch. Such a cute town, if you have an extra day, check it out. And if you get there in the morning, you can even catch a “Swimming with Dolphins Cruise”! Which we had just missed. Wish we had known about it sooner! Alright friends, grab your copy of Finding Nemo, and stay tuned for our trip to Sydney, Australia and the Great Barrier Reef! Until then, check out the Top things to do in Sydney, Australia!